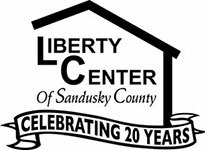 The Liberty Center opened in June of 1994. Residents are not required to pay a fee to stay at the shelter; however, they are required to work, unless disabled, and must save 80% of their income toward their future housing costs. Residents do chores, follow rules, keep a curfew and remain alcohol and drug free while at the shelter. Through intensive case management and hands on training we assist our residents with daily life skills to prepare them to become self-sufficient. Our goal is to make a permanent difference in the lives of our residents so that we are not continually “putting a band aid on a long term problem.” Residents are followed up with after leaving the shelter for two years to track their housing and to offer assistance or direction if they are having difficulties.